It’s not what he said, it’s how he said it. 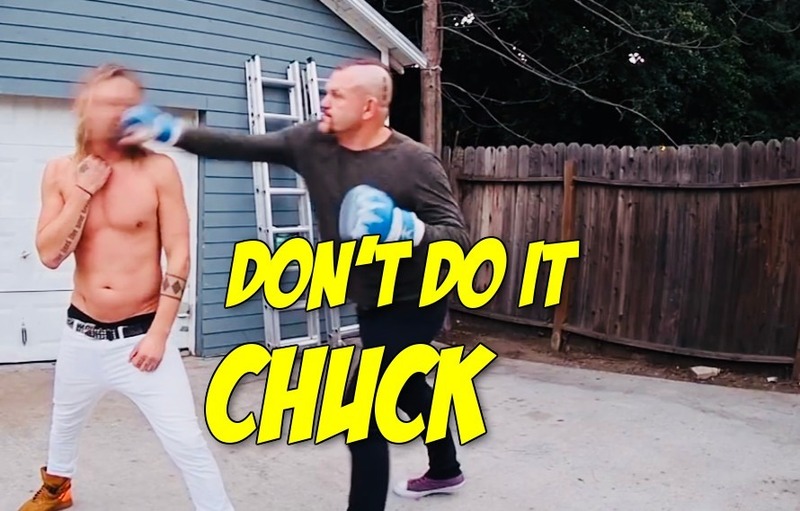 Chuck Liddell hit a over hand right to all his doubters this week when he announced his return to MMA. Nobody ever really retires from this bloodsucking sport, not even The Iceman. Lost in the fact that a 48-year-old retired fighter is coming back to punch Tito Ortiz is his very large head, was Liddell’s wild call out of Jon Jones. Yes, that is the same Chuck Liddell who was knocked into the shadow realm by Rich Franklin, Shogun Rua and Rashad Evans in his final three UFC fights. Absolutely no fear shown by Liddell in saying he could KO Bones after a mere two fight warm-up. What a legend. If Liddell somehow makes it through two pro MMA fights without any concussions in 2018, then more power to him and he’s still unlikely to get a crack at Jon Jones in 2019. But we’ll always have this Twitter exchange where it’s revealed that Chuck Liddell still uses the ancient TMI.me app so he can write longer tweets. Twitter does not recognize this nine year old app and instead we get Liddell getting cut off mid-trash talk.